09.16.06: Watch out for Red Spider Mites! 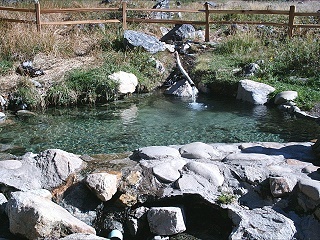 Atlanta hot springs features one large rock and mortar reinforced pool complete with benches and piped in hot and cold water. 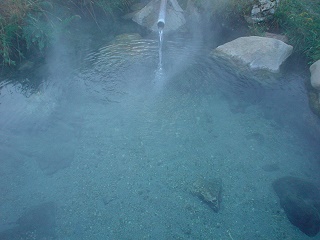 Please note that Red Spider Mites are known to inhabit this hot springs. 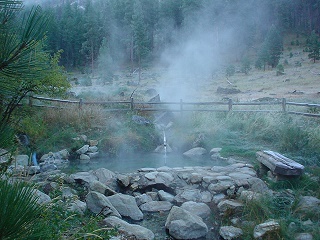 This place is wildly popular with the citizens of Atlanta; where the hot springs is well-known and used - oftentimes for bathing! We all know using any kind of soap in a hot springs is a big no no and illegal. The majority of roads into Atlanta close during winter save for one route which is sketchy, especially given the large amount of deaths that occur on this road during the summer months. Note: The Middle Fork Boise River Road is a rough one - this is one of my least favorite roads to drive on in Idaho due to the insane washboards. Just something to keep in mind. During the summer you can cut down on the drive time by taking on of the many FSRs off State HWY 21 to the Middle Fork Road. 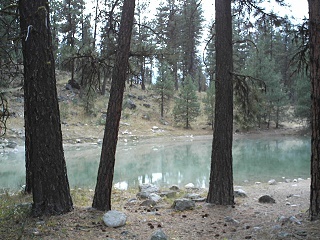 Plenty of nearby National Forest campgrounds and primitive sites to choose from. 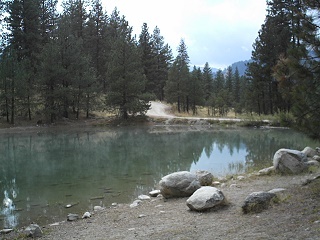 Just .5 mi up the road there are free developed sites available for use at Powerplant Campground. This might very well be one of the last campgrounds in Idaho that remains free despite having water, tables and an outhouse. I've been wanting to come here forever! 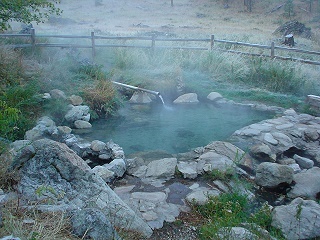 Well, at least since I've been into hot springs, which has been the last 10 years of my life. The stories are true! The soaking was stellar despite Red Spider Mites (RSMs). I figured out long ago, that you can almost completely avoid RSMs by applying natural insect repellent lotion immediately AFTER soaking. The little buggars don't like the stuff and usually leave.